I have for you a new piece from The Grand Bazaar of Ethra VanDalia! 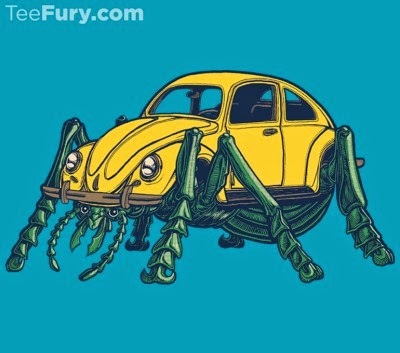 Today's monster is the mighty Yote Arms Dealer. 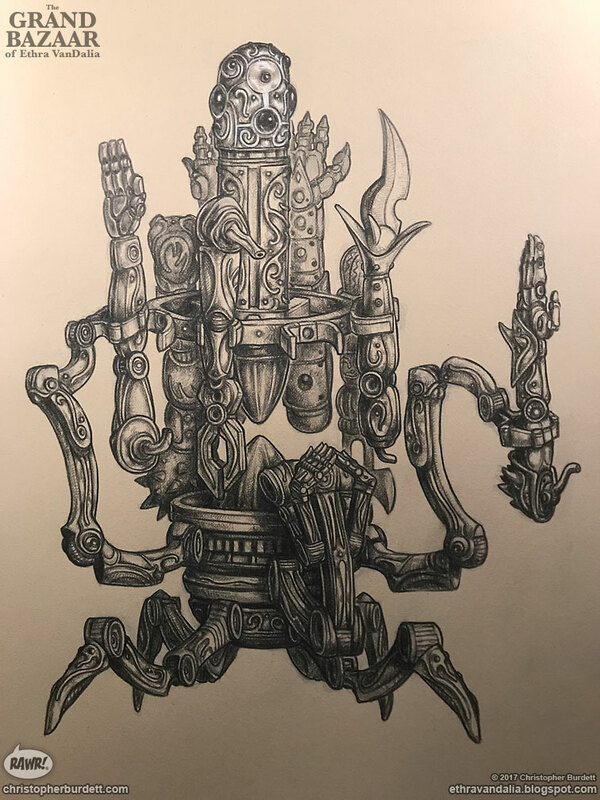 The Construct Guild's presence and influence at the Grand Bazaar is legendary. 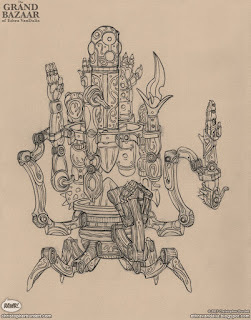 Those members of the Guild that give themselves wholly to the cause become known as the Yote. 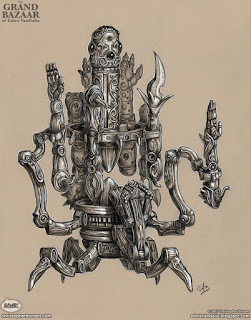 Where once was flesh is now metal and they serve the Guild in each of their unique ways. 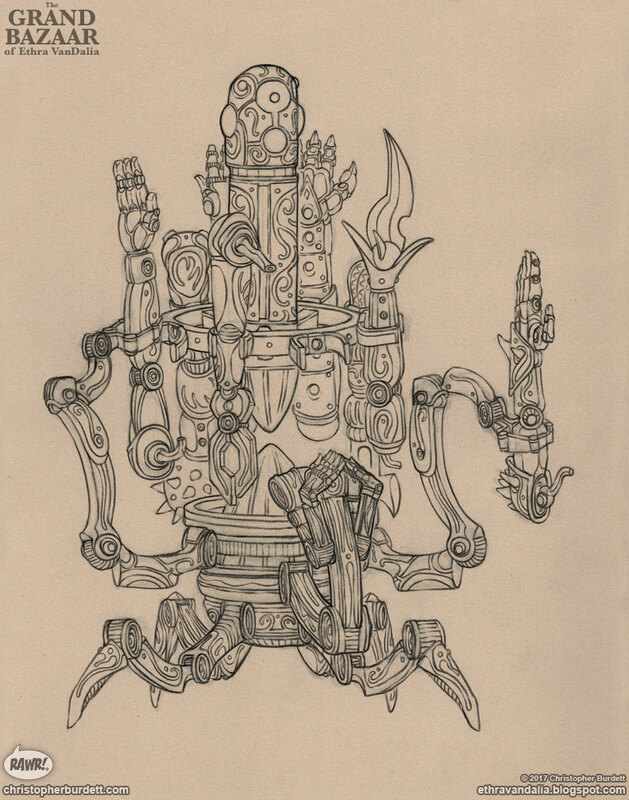 This Yote is a skilled in the design, construction, and selling of mechanical and bio-superior arms and limbs. If you find yourself in need of arms, then you need to seek out Yote 4734-XCY-542M. 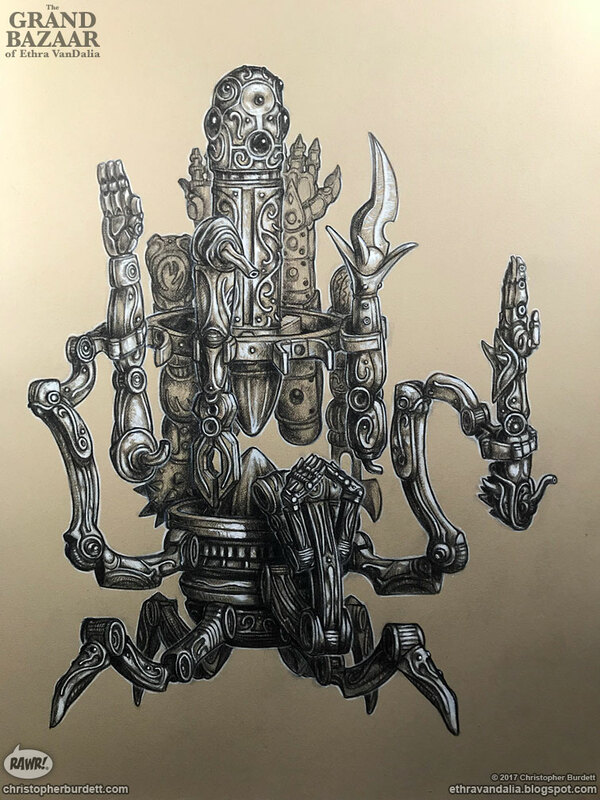 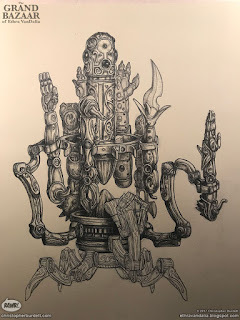 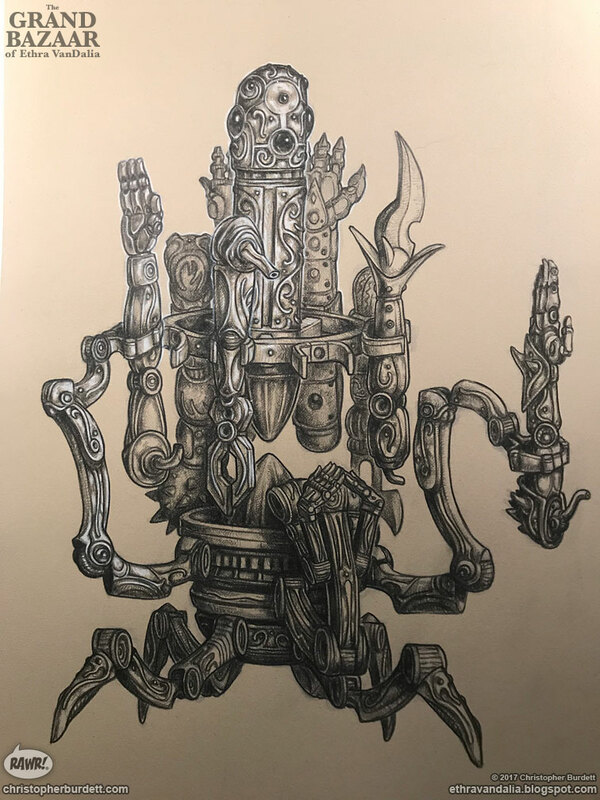 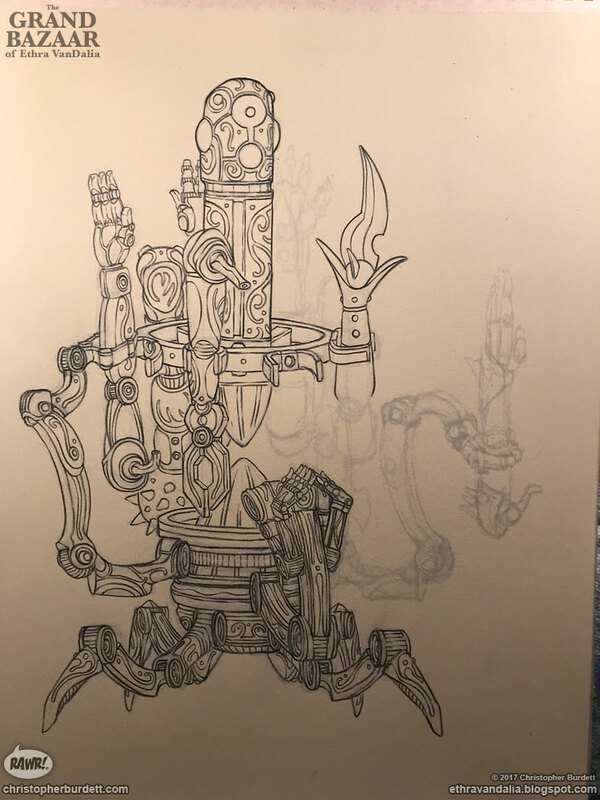 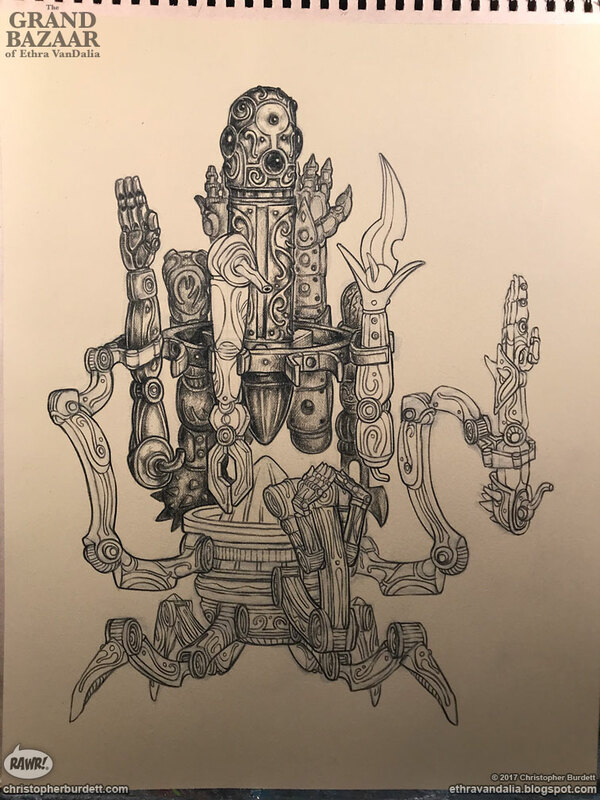 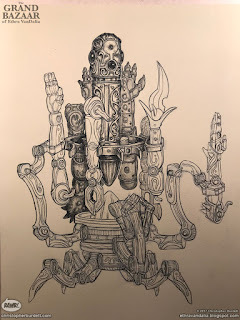 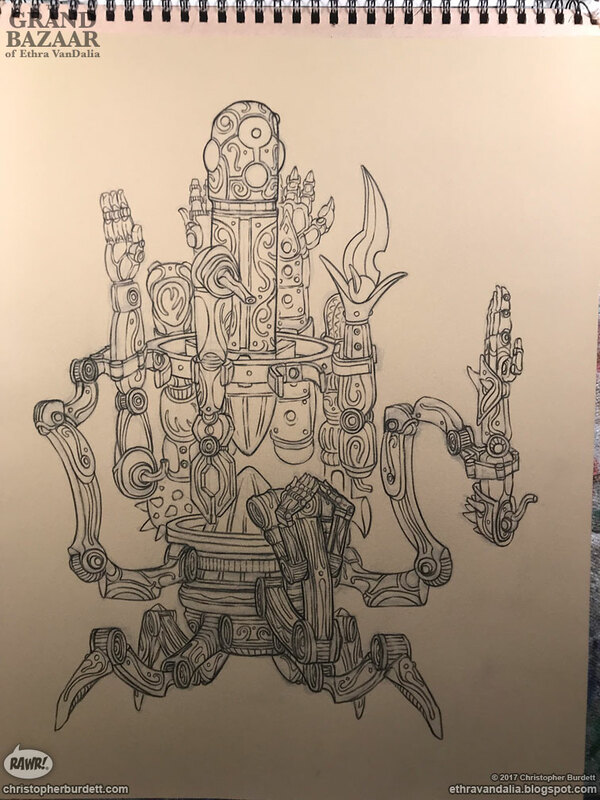 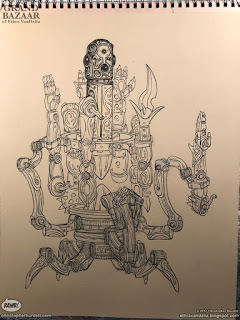 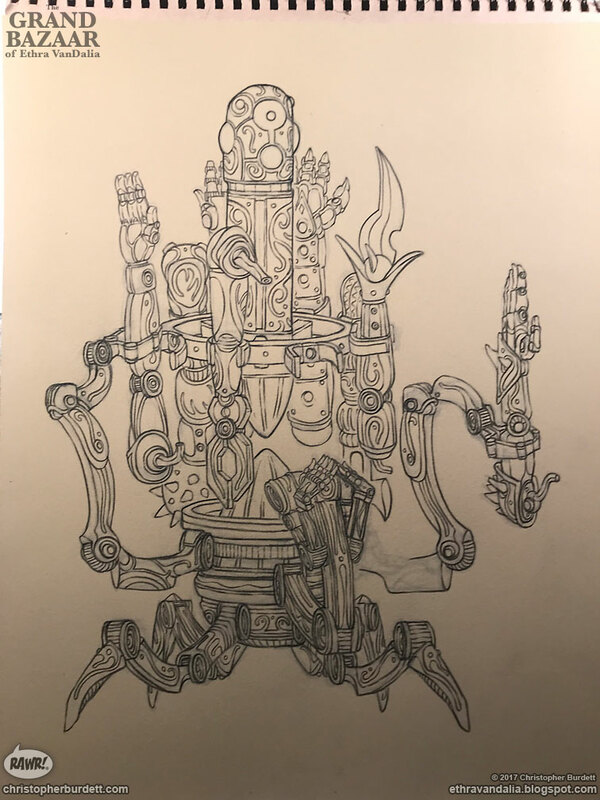 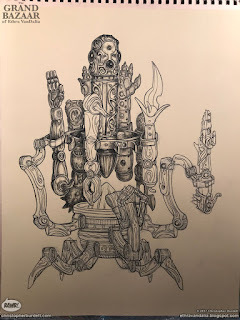 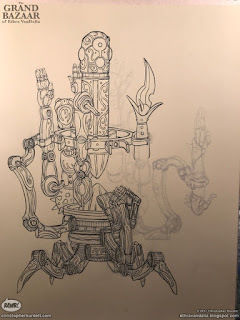 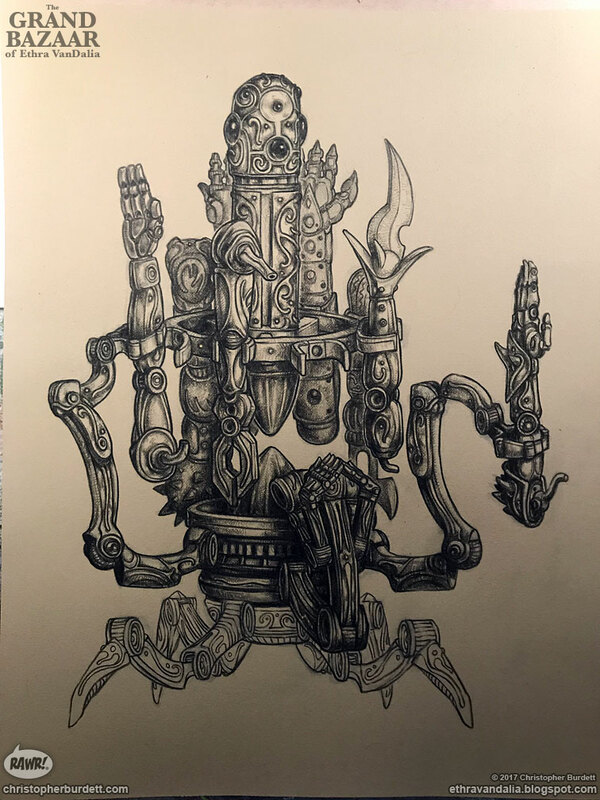 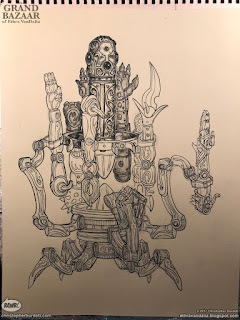 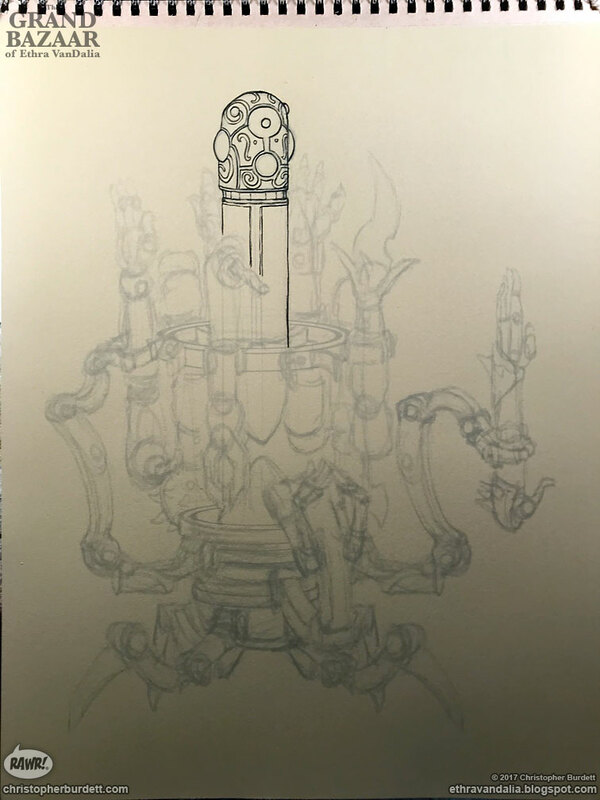 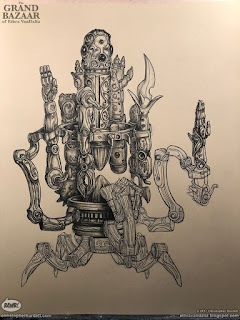 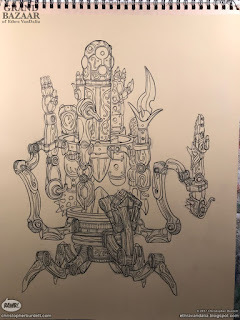 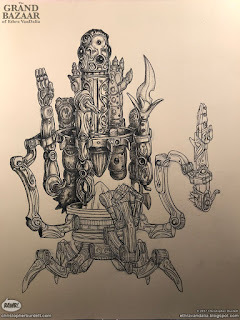 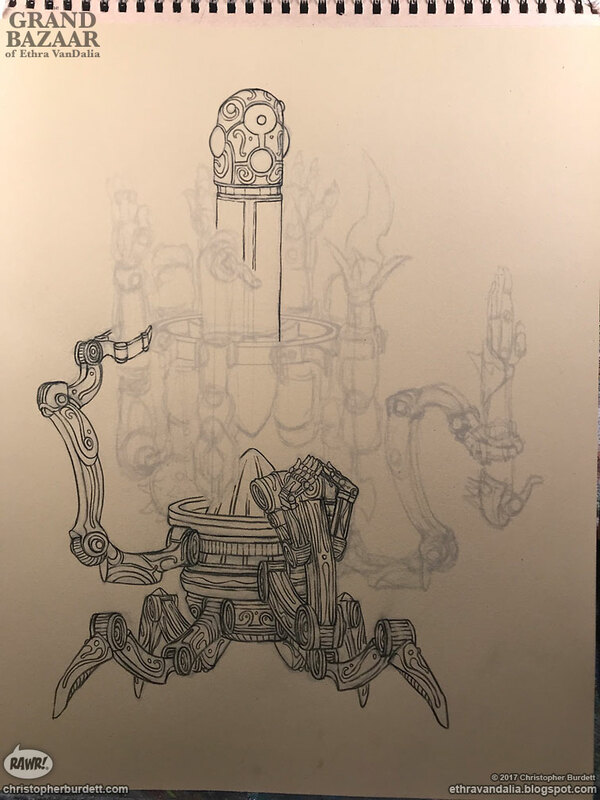 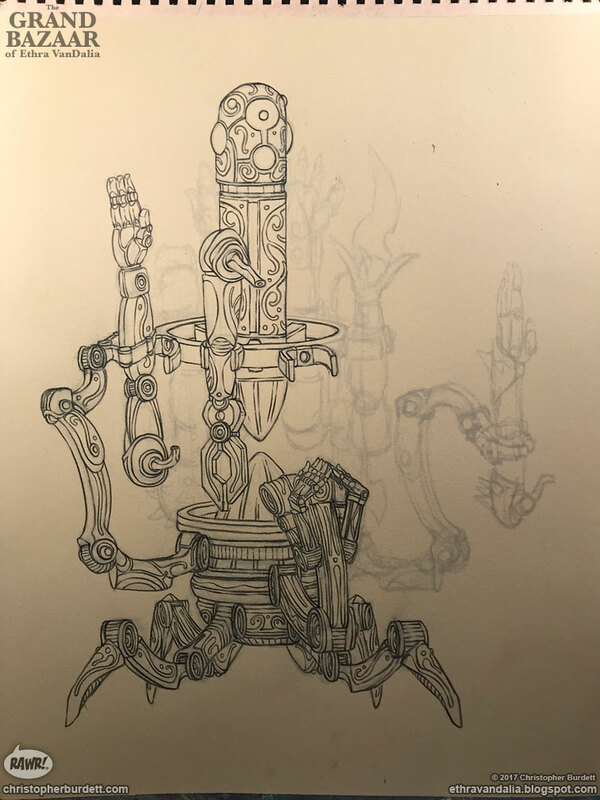 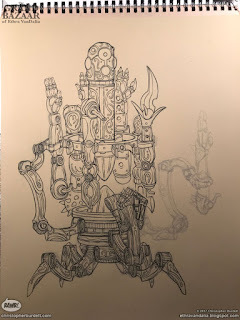 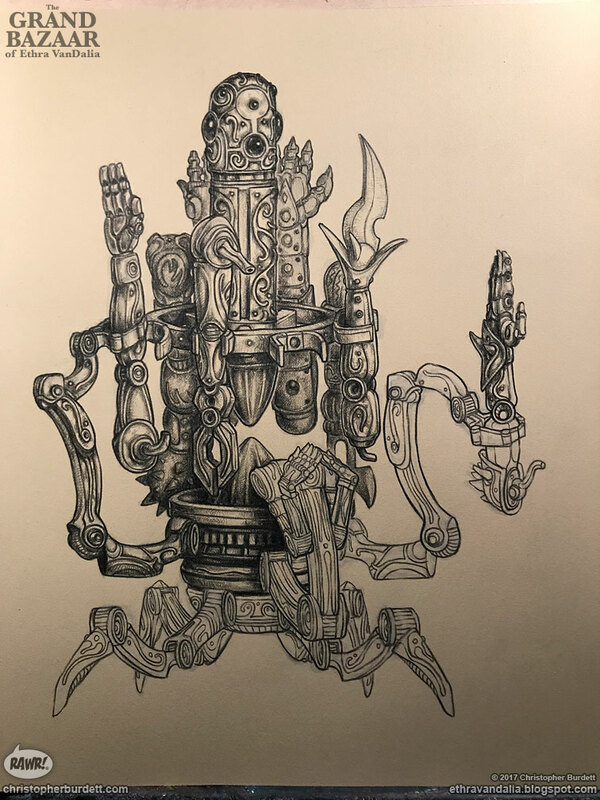 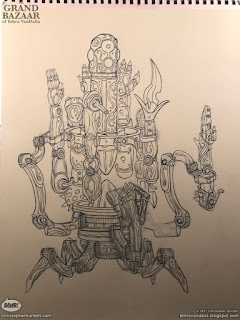 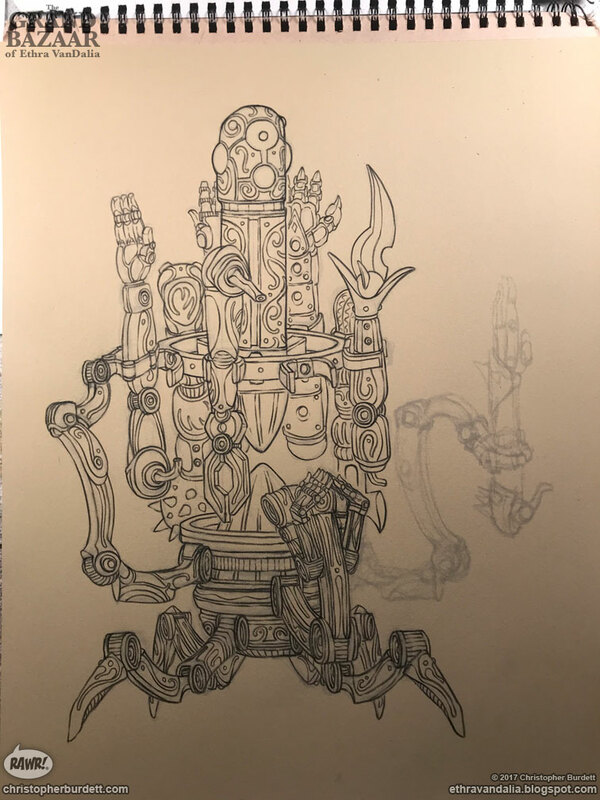 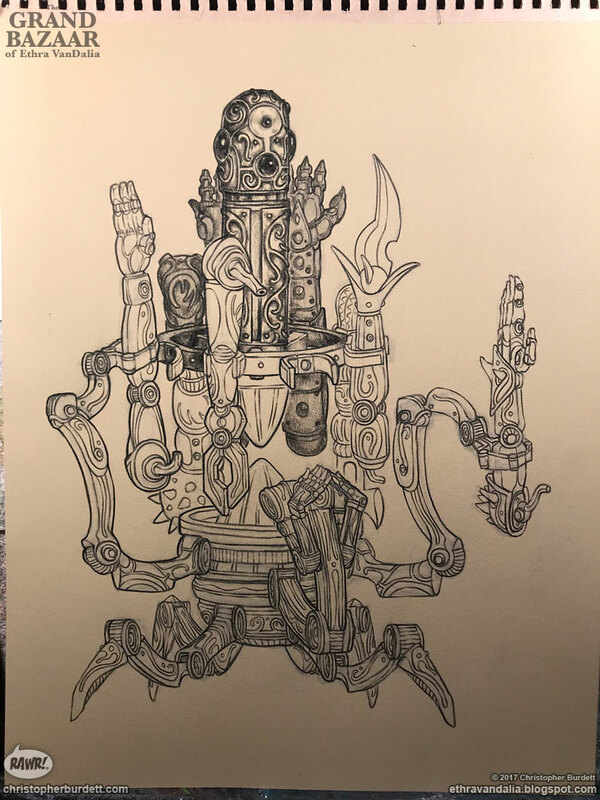 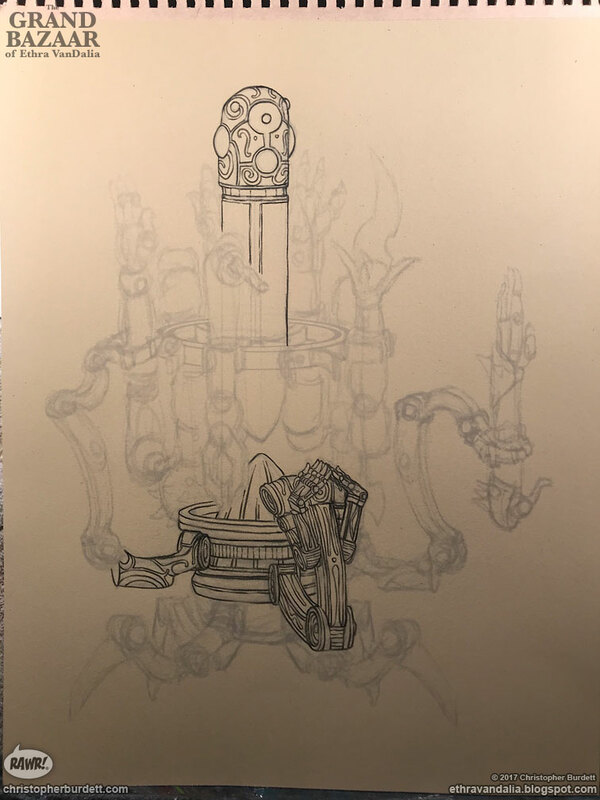 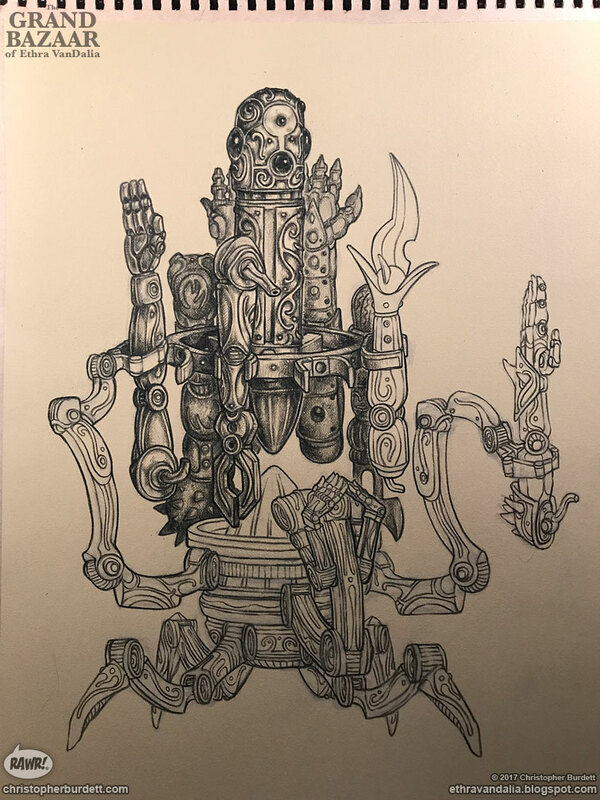 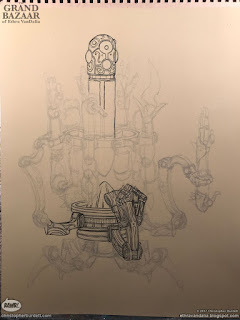 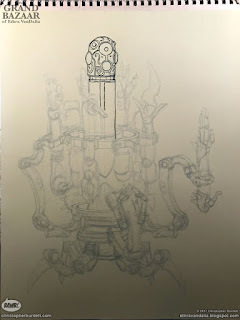 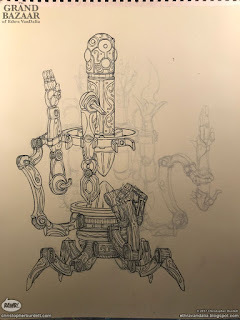 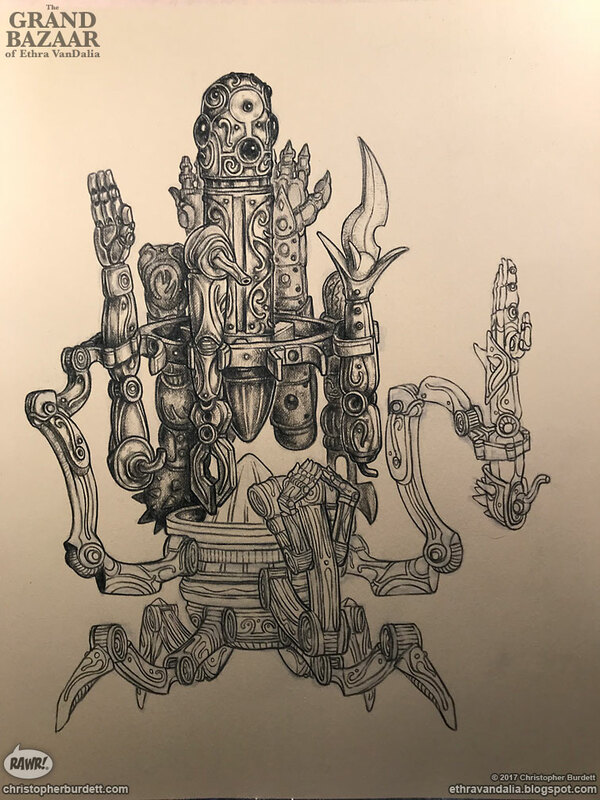 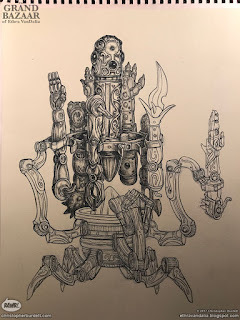 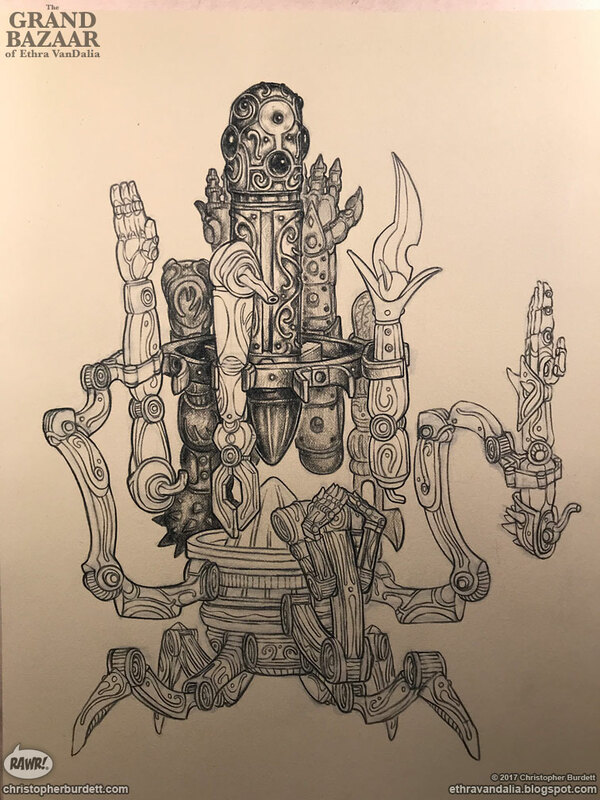 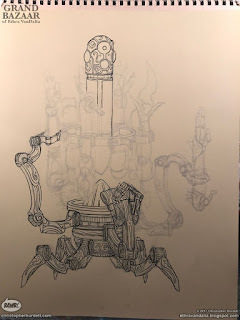 If you would like read the thoughts of Eustis Pettcok - Construct Guild Scribe, Cog level 7, regarding this monster then head on over the The Grand Bazaar of Ethra VanDaila blog!